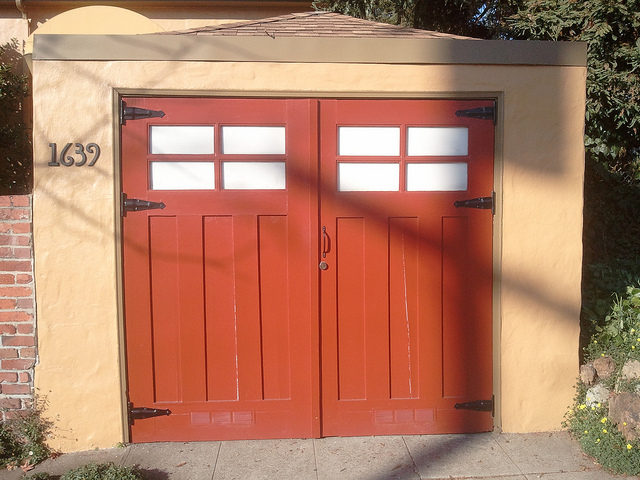 When you think about areas of your house that need fine tuning, you probably don’t think of your garage door. But just like any other part of your home, your garage door is susceptible to issues and requires regular attention and maintenance. The garage door repair professionals at Felluca Overhead Door in Rochester, NY, know how to tell when a garage door is having trouble. With that knowledge, they’d like to show you how to stay on top of any potential issues before they become worse. Heavy: If the springs in your garage door are worn out, the door will feel heavier than usual when you lift or lower it. Loud: Loose parts, worn rollers, and hardware in need of lubrication all make a lot of noise. Take care of these simple fixes as soon as you can. Unresponsive: Unless your garage door opener just has low battery, call an expert to deal with a garage door that’s not responding. There may be wiring issues. Stays Open: If you close the garage door but it starts going back up again, there’s some internal issue. It’s best to call an expert if this is the case. If you notice any of these issues with your garage door, contact the team over at Felluca Overhead Door in Rochester, NY. Their quality work has earned them a Super Service Award from Angie’s List three years in a row. Visit them online to view their full list of services. Call them at (585) 467-2391 to set up an appointment today.